We finally got off our butts and put up the Cabalas Westwind tent for the first time. It's a real tent, not like the junk you buy at sears, Kmart, Walmart or other stores. This tent is all ripstop nylon coated with a silicone sealant to make it waterproof but breathing. It's floor is a waterproof tub of nylon instead of the really cheap plastic tarp material to make it far lighter and pack smaller. It weights about 13 pounds and we also purchased the additional vestibule for gear storage and cleaner entryway. It packs very small for a 4 person expedition type tent. It can easily fit in a Burley nomad trailer with other camping supplies. First off, I wish that Cabelas would get off their butts and post gobs of high res photos of their products online. This tent only has a tiny 4 inch photo on my 19" monitor and a very limited number of views and shots. You have to make a leap of faith as well educated guesses based on what you read and can find on the internet. There are almost no reviews online for this tent to help you decide what is going on with it and how it is built. Setup: The tent is really easy to set uo with 2 people. 1 person CAN do it with practice. If you never owned a clip style tent you will probably be concerned as to how it's pulling on their seams, this is normal. Some complain at any tent with more than 2 poles. This one has 4 for a reason, it's a real tent designed to withstand a storm not a family screen room designed for a sunny day. Big areas of tent material means more stress on a tent in a wind storm or thunderstorm. you really want more poles. The setup is easy and instruction are sewn into the bag. Note: get a good nylon cheapie duffel bag that is twice the size in diameter than the origional bag from cabelas. Trying to stuff the tent back in their bag is a nightmare. if you can get a compression bag big enough go that route, i chose a big bulky duffel to hold the tent fans and other parts in strapped on top of my bike trailer. The vestibule was harder to set up than the tent, you have to flex the heck out of two pole to make the arches and then stretch and bend it to fit. Once secured it's great and strong but harder than the tent to set up. Floor: Get a floor saver, better yet buy some plastic tarp material from a local home depot type of store, spread it out and then carry the tent (without rain fly or vestibule) onto the tarp. mark all around the tent carefully and then measure in 3 inches and cut the footprint out. far cheaper than buying the real one that you still have to cut from cabelas. The only thing this tent is missing is a inside separate floor. I like the idea of unclipping a floor pan, folding it up and shaking it out outside to clean the tent in 5 minutes instead of spending 20 trying to sweep it up. Size: We got the 4 person tent. Yeah right. Just like all other tents 4 person means you are crammed in like sardines. This is a perfect tent with room to dress and your gear for 2 adults and 1 child. The make these all the way up to the 8 person lodge size, but I would wonder about the storm resistance for such a large tent, That's a lot of wind load. Comfort: A single vent at the top and all windows are zippered. you can control venting making this way more useful in colder northern camping, only way to make it perfect would be to add zippered flaps to the roof vents. It's blue and white colors tend to reflect some heat, I found that using a throw away cheapie space blanket tied down OVER the rain fly make a gigantic difference in tent temperatures. not as much as pitching the tent in covered shade though. Overall this tent is Certainly worth the $208.00 I paid for it, the vestibule and the floor saver. Cheaper than a north face and Eureka! tent but with the warranty backing it and a real full rain fly instead of the cheesy rain cap that the Coleman and other toy tents have makes all the difference when it's raining outside. I just wish it packed smaller. Other than that My family and I love it over all the other tents we have used in the past. UPDATE: 4 years later.... This tent has weathered 4 years of camping like a champ EXCEPT the vestibule pole keeps breaking. I am now on pole number 3 for the vestibule simply because it's 1/2 an inch too long. it breaks when setting up the tent every single time. The tent has been re-waterproofed this year only because I am paranoid, not because it needed it. It still looks new mostly because I use a floor saver tarp under the tent every time. I just wish it had provisions for the inner floor saver to make clean up easier for week long camping. This tent has went on a motorcycle camping trip just fine. Made a lot of others jealous that I had a 4 person tent that withstood a thunderstorm compared to their little pup tent that folded in the night when winds hit 60mph. Would I buy this tent again? yes. Although I still wish I stepped up to the Alaskan Guide tent for cold weather camping. This one STILL works great all the way down to 40 degrees, but there are times the wife will complain that it's too cold in the fall. Update: 7 years later the rain fly has lost it's ability to shed water in a heavy downpour. The whole tent now requires a yearly re-treatment with a silicone spray water repellant (Camp Dry is what I use) I no longer use the vestibule as it keeps breaking poles. but the tent it's self is still going strong and in great shape even though I am a BAD tent owner and rarely put it away properly. I also have the 4-man Westwind tent and love it. I use it when it's just me and the kids. I have a cheap 3-man off-brand that we set-up close by for all the gear. I set mine up by myself all the time, it's not too bad, but extra hands do help. For those who dislike tents with more than 2 poles, all I can say you'll wish you had more poles when the wind starts. If you want closable roof vents step up to the Alaska Guide model it has them. Thanks for the informative review, I've been looking at this tent and totally agree that they need more pictures on the website. If you're still in the market for a dining fly, check out Noah's Tarp by Ketly. You have to add your own poles or have trees available, but it's quite light and compact. I've used mine on a number of trips to the BWCA (lots of trees available). 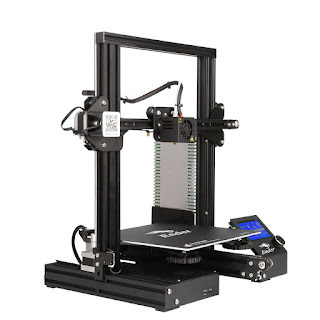 I just ordered the 8-man version and am awaiting (and looking forward to) its arrival. Good review! 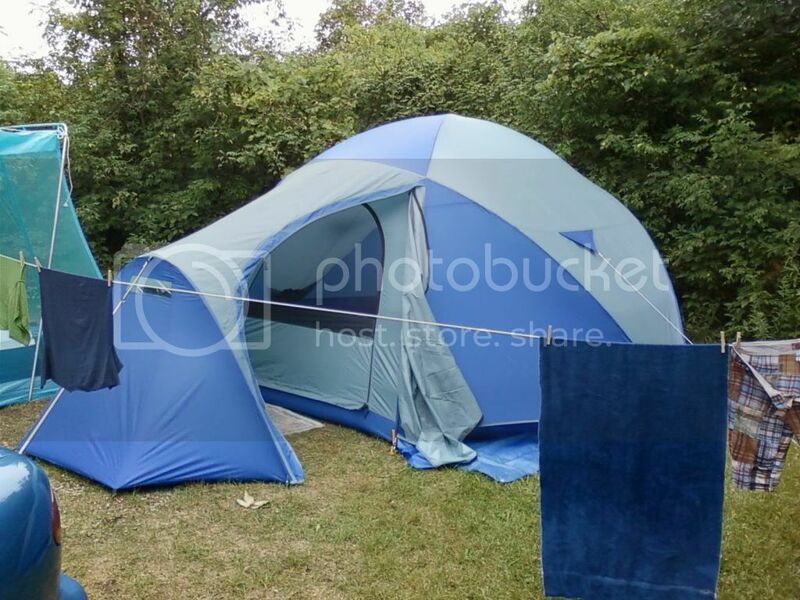 Agree with the comments above that more pictures of this tent would be extremely helpful. Anyone who owns it care to post some online??? I've owned a 4 man WestWind dome since 2004. It's been all over the US on the back of my Harley. When in Bangor, MN it rained 6" in a 12 hour period. "Da Hovel" (nickname) didn't leak a drop. It gets used at least 6 times a year and still looks and works like new! I even bought the 6 man to go with when I truck camp. The absolute best tent on the market for the amount of $. Just spent a weekend under high winds with the 8 person model. It was awesome. Everything worked as advertised.